1 This is pretty simple, if you don’t have Safari installed in your system go to this page – http://www.apple.com/safari/download/, download the latest version of Safari web browser and install it. 2 Then launch Safari, click the Alt key to bring up all the menus. 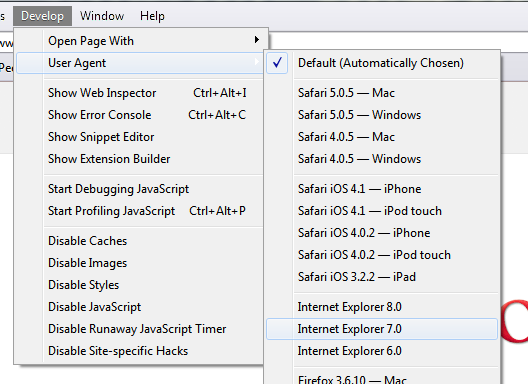 3 Go to Develop, navigate User Agent and select Internet Explorer 7.0. 4 Visit your Facebook profile and the classic profile should now be there. ¡ Important: To go back to the default settings, simply restart the web browser.